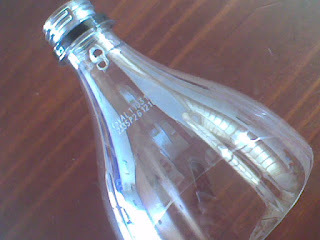 Here’s a cute idea on how to recycle some of those plastic bottles (I have made many projects from plastic bottles before) you may have stuffed in your recycling bin. 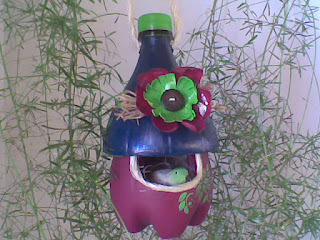 You can now make a cute decorative bird house in a few minutes! 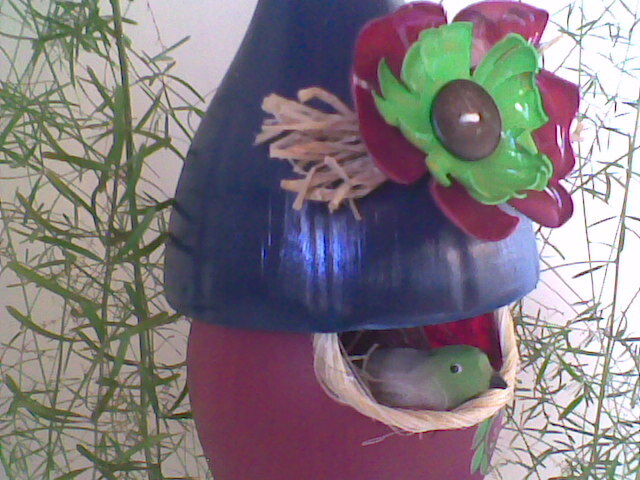 It would be exciting that birds stay in your backyard with this beautiful comfy new home you make for them. 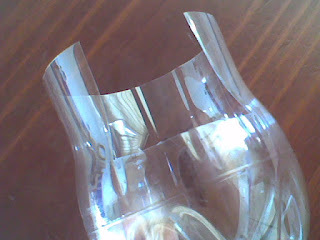 JUD Arts shared all the details on how to make one of these and here we show the step by step tutorials in English. 1. 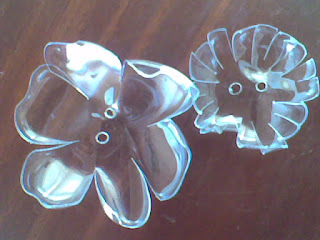 Cut the body part of plastic bottle into flower shape, approach the plastic petals near fire to get it twisted into a more natural effect. 2. 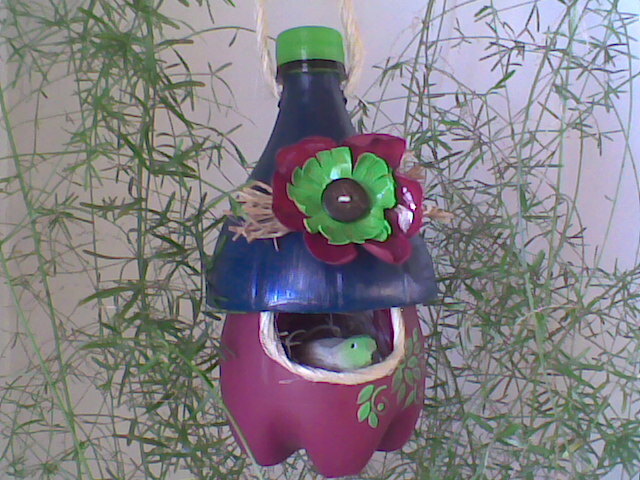 Cut the bottom part of coke bottle (15.L) as bird house. 3. Cut The top (roof) with bottle of Coke 2 liters, which stuck right on top with a hot glue, and then pass the string to hang. 4. Paint both top and bottom parts of plastic bottle with acrylic paint, add flowers as decorations. 5. Glue twisted yarn or twine cord along the door hole and add string to hang it.